The Major League Baseball (MLB) Trade Deadline is July 31, and the weeks leading up to it give fans of every team at least one reason for hope regardless of the standings. Even fans of the last-place Baltimore Orioles have reason for hope at the 2018 MLB Trade Deadline, despite the seemingly silly salary of Chris Davis, whom the Orioles owe $92 million over the next four years, and the depreciated value of both Zach Britton and Brad Brach. I wrote that they should have been sellers at the Trade Deadline last season, but last season’s failures could still end up successes of seasons to come. Here’s every fan’s reason for hope at the 2018 MLB Trade Deadline. The Red Sox are in a good place at the 2018 MLB Trade Deadline, but every team’s bullpen could be deeper come August, September and October. The Red Sox have the fifth-best bullpen based on FanGraph’s version of Wins Above Replacement (WAR), so adding a veteran reliever like Zach Britton to open a sixth or seventh inning instead of relying on 29-year-old Heath Hembree might give Boston’s bullpen the boost it needs to challenge the Yankees’ MLB-best bullpen. Boston also has some room to improve at second base if Dustin Pedroia does indeed miss the rest of the season due to a troublesome knee. The Red Sox have been linked to Whit Merrifield, who would give them a long-term insurance plan at the position if Pedroia continues to struggle with injuries. Merrifield is cheap (for now), arbitration eligible for the first time in 2020 and comes with team-control through 2022. He will not be cheap to acquire, however. Brian Dozier could be an alternative option as an affordable rental if the Twins are still committed to selling at the deadline. The Yankees look to be in need of a Game 3 starter who can swing a playoff series in their direction, but New York’s focus has been on acquiring the best player available at the 2018 MLB Trade Deadline: Manny Machado. The Yankees don’t need a shortstop, and they don’t look to be in need of a third baseman given Miguel Andujar’s .818 OPS at just 23 years old. But Andujar could be traded to acquire that starter the Yankees need to hang with the Astros, Indians and Red Sox, all of whom’s starters have performed better than the Yankees’ this year. Toronto’s J.A. Happ is a “realistic” trade target the Yankees are considering according to Jon Heyman, and could be the Game 3 starter who swings the momentum of a playoff series the Yankees’ way. Happ earned a win over Houston allowing three earned runs over six innings earlier this season and has allowed just .938 walks/hits per inning pitched (WHIP) in two starts against Boston. His start against Seattle was a disaster, though, lasting just three and a third innings after allowing seven earned runs. The defending champions have almost everything they need to repeat as champions. The Astros’ starting rotation has been almost 14 wins better than a replacement play – the best in baseball. Houston’s starters are so good that Collin McHugh was forced into a bullpen role, where he’s amassed an incredible ERA+ of 392. The Astros, like every other contender, is looking to add bullpen depth at the Trade Deadline, and like the Red Sox, they’ve shown interest in Britton according the Heyman. With Ken Giles being optioned to Triple-A, Houston has reason to acquire a reliever despite its bullpen ranking second in MLB in WAR thus far in 2018. The Astros aren’t reading too much into the success of catcher Max Stassi and his .804 OPS over 177 plate appearances either. And while Brian McCann is expected to return from arthroscopic right knee surgery in September, his .606 OPS over 173 plate appearances leaves a lot to be desired, even when considering the hitting ineptitude of catchers throughout the league. That’s why the Astros contacted Tampa Bay about pending free agent and All-Star Wilson Ramos, whose proven ability to hit (.751 career OPS) will be even more evident given Houston’s deep lineup. His deficiencies behind the dish (6 defensive runs below average over 1,200 innings this season) would also be less impactful given the pitchers he’d be catching in Houston compared to those he’s catching with the Rays. The Cubs might make the second-best addition at the 2018 MLB Trade Deadline and do so without surrendering anything in a trade, but that possibility is looking less and less likely everyday. Yu Darvish experienced pain in his elbow after a bullpen session that followed a rehab start in the minors, so the Cubs don’t know when or if he’ll be available. The Cubs lead the National League in run differential, and by 25 runs as of this writing, making their 23rd-ranked starting pitching WAR less of a concern. That won’t be the case against an American League contender, however. The Astros, Red Sox and Yankees all have higher run differentials than the Cubs, which is why J.A. Happ has been on Chicago’s radar according to Bob Elliot of the Toronto Sun. If Darvish gets bad news, the Cubs will have to add a starter to have a chance at winning a second World Series in three years. While Andrew Miller is expected to return after the MLB All-Star Break, his return won’t make Cleveland’s bullpen playoff-ready. Allen’s struggles aren’t a result of bad luck. While his Fielding Independent Pitching (FIP) of 3.92 is evidence that his team’s defense is at least somewhat responsible for his bloated 4.66 Earned Run Average (ERA), Allen’s soft contact percentage of 8.9 percent thus far this season is a career low and way down from the career high of 22.2 percent he set last season. Allen’s not the only Cleveland reliever struggling either. The Indians are last in bullpen ERA and home run rate allowed, and second to last in bullpen WAR, according to FanGraphs. So Cleveland needs all the bullpen help it can get at the 2018 MLB Trade Deadline. The Indians have also shown interest in center fielder Adam Jones of the Orioles because their center fielders Bradley Zimmer and Greg Allen have left much to be desired when a bat’s in their hands. The two have averaged a .576 OPS between them. Baltimore is the perfect trade partner for Cleveland because the Indians could also acquire the bullpen help it needs in the form of Zach Britton, who is finally starting to look like his old self according to Jon Heyman of Fancred. Brad Brach, on the other hand, has surrendered hard contact on nearly a third of batted balls against him, a career high. Acquiring one reliever won’t likely be enough for Cleveland to contend for a championship, so they’re lucky it’s a buyers’ market for bullpen arms at the 2018 MLB Trade Deadline. I said prior to Opening Day that Dee Gordon’s transition to center field would be an adventure worth watching, and it was. While Gordon’s speed and athleticism was often displayed on highlight reels, he was well below average in center field (35 runs below average per 1,200 innings). But Robinson Cano’s suspension for performance-enhancing drug use makes the acquisition of Gordon one of the best deals Seattle won’t have to make at the Trade Deadline. The acquisitions of Denard Span (.842 OPS in 124 plate appearances) and Alex Colome (16 Ks in 16.2 innings pitched) at the end of May have provided the roster depth necessary for Seattle to make a push for the postseason as well. Seattle will get Cano back on Aug. 14, which will be like adding an All-Star prior to the Aug. 31 waiver trade deadline. But unlike a waiver acquisition, Cano can’t participate in the postseason, so Jean Segura and Gordon will be the Mariners’ middle infielders should they make the playoffs, leaving a big hole in a lineup that struggles to score runs. Recent recipient of a contract extension, Seattle general manager Jerry Dipoto hasn’t been in a hurry to announce any trade targets at the 2018 MLB Trade Deadline, even with both James Paxton and Felix Hernandez hitting the 10-day disabled list with minor back issues. Regardless, the Mariners’ eighth-ranked bullpen and 11th-ranked starting rotation according to FanGraphs’ WAR won’t be good enough to contend for a championship given their 20th-ranked offense in runs scored, so bringing another bat to Seattle might be necessary. Perhaps an Adam Jones reunion is in order given the Mariners’ .692 OPS from center fielders this season. Stephen Strasburg and Sean Doolittle are potentially huge additions expected to come of the DL prior to the Trade Deadline, and the Nationals have already gotten Adam Eaton, Daniel Murphy and catcher Matt Wieters back from injury just in time to save their season – the last of their quickly closing World Series window. Washington is still in pursuit of a catcher like Ramos to push Wieters into a backup role, and while the Nationals have the eighth-best starting rotation in baseball, their 23rd-ranked bullpen is in dire need of an upgrade. Expect Washington to pursue pending free agents to improve its bullpen to allow for maximum flexibility in free agency this offseason. The Brewers were surprisingly good last year, and continue to surprise just about everyone by holding a one-game lead over the Cubs in the National League Central as of this writing. The starting rotation consists of no one you’ve heard of and the lineup is a collage of castaways, overachieving prospects and Ryan Braun. Their +55 run differential is 50 runs worse than the Cubs, but the Brewers’ bullpen is fantastic, especially Josh Hader – Milwaukee’s version of Andrew Miller. Despite losing new acquisition Lorenzo Cain to injury, the Brewers continue to impress. But scoring the top bat available at the 2018 MLB Trade Deadline could help them overcome their 17th-ranked offense in runs scored. They were in the bottom third of the league in runs scored last year, so the Brewers are better, but will end up fighting for a Wild Card spot regardless of what they do at the 2018 MLB Trade Deadline, and they’ll need to do something big to hold off the Diamondbacks or Dodgers. 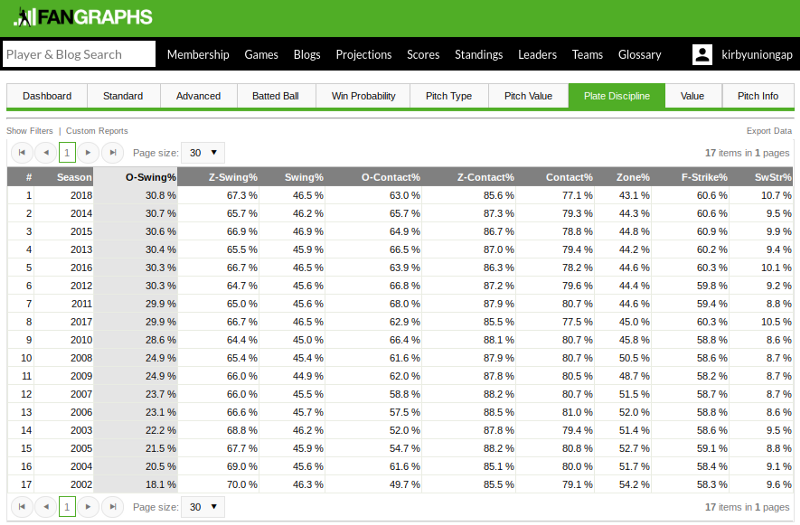 Milwaukee can improve most at both middle infield positions. The Brewers have been active in the Machado sweepstakes, but are unlikely to win his services according to Ken Rosenthal of The Athletic. So the Brewers will have to hope the Twins’ recent success doesn’t deter them from trading pending free agents Eduardo Escobar and Brian Dozier, in whom Jon Morosi of MLB.com reports the Brewers’ interest. Also leading their division as of this writing, the Diamondbacks will need to add at the 2018 MLB Trade Deadline in order to hold off the Dodgers, who have been trending up and carry a run differential 36 runs better than Arizona’s as of July 13. The Diamondbacks still have Zack Greinke, who allowed more home runs last year (25) than he had since his rookie year in 2004 (26), but the new baseball humidor in Arizona has made him even better in 2018. Behind Greinke, though, only Patrick Corbin can be considered reliable for Arizona. Clay Bucholtz is on the 10-day disabled list with a strained oblique. Robbie Ray is averaging five walks per nine innings, and Zack Godley isn’t doing much better (4.7 walks per nine innings). The Diamondbacks need a middle-of-the-rotation starter who can give them a chance in Game 3 of a playoff series, and adding a third Zack to the roster might be the solution. Arizona has expressed interest in the Mets’ Zack Wheeler, who is controlled through next season if Arizona loses Corbin to free agency this offseason. Clayton Kershaw is back in what could be his last season with the Dodgers. He’s looked like his old self after coming off the disabled list, but the Dodgers needed more than Kershaw last season and need much more this season. The Dodgers are considered a favorite to land Machado, which is the kind of addition Los Angeles would need to make at the 2018 MLB Trade Deadline in order to contend for a title. If the Dodgers’ plan is to move Chris Taylor to second base for Logan Forsythe and plug Machado in at shortstop, they might be better off long-term adding Whit Merrifield given his lower cost, both in terms of prospects surrendered and salary owed. Plus, with Chase Utley retiring after the season, and Forsythe a free agent at the end of the year, the Dodgers could use a long-term, affordable second baseman who will improve the Dodgers’ 25th-ranked defense if Kershaw isn’t in LA to hide the Dodgers defensive deficiencies next year. Per Jeff Passan of Yahoo Sports, the Dodgers are also linked to the Reds’ Scooter Gennett, who doesn’t anticipate being traded Mark Sheldon reports for MLB.com. The Mets’ Asdrubal Cabrera also has the Dodgers’ attention, as does Josh Harrison of Pittsburgh per Mike Berardino of St. Paul. LA’s exploring all options because these could be the last of Kershaw’s Dodger days. Prior to Opening Day, I wrote that the Phillies weren’t as far from contending as some people thought thanks to their young talent being quick studies at the MLB level. They’ve proven me right, but why the Phillies are willing to trade the farm for not even half a season of Machado is beyond me. The Phillies without Machado can make the playoffs and compete with anyone in the National League thanks to its NL-best starting rotation, which might be why they’re so eager to land the best player available at the 2018 MLB Trade Deadline. They think Jake Arrieta, Aaron Nola and Zach Eflin can hang with the Cubs, Dodgers and Nationals, and they might be right. Eflin was brilliant in one start against the Cubs, has two wins against the Brewers and one more against the Nationals. Nola allowed just two hits and one run over seven innings in a win over the Dodgers, is 2-0 with a 1.98 ERA against the Nationals and held the Cubs to three runs over six innings. And Arrieta pitched seven innings of shutout ball in a win over the Dodgers, has a .909 WHIP in two no-decisions against the Nationals and should be pretty familiar with the Cubs’ lineup. Philadelphia seems to be in a hurry to take advantage of Washington’s sudden fall, but the Nationals will be even worse next year than they are this year, and Machado could be acquired without surrendering any prospects prior to the season. I think the Phillies are overreaching given their third-worst defense and 20th-ranked offense, but I’ve been wrong before. Machado would certainly make the Phillies contenders for the NL pennant. I just don’t think the risk is worth the reward given the strength of the American League. If I were a Phillies fan, I’d rather hold onto our prospects and lose in the playoffs than trade those prospects to lose in the World Series and then lose Machado in free agency to the team that beat us in the World Series. But maybe I don’t know Philly fans. Billy Beane sees the Athletics as buyers at the trade deadline, and they need a starter, especially with Trevor Cahill a free agent after the season. Detroit’s Michael Fulmer would give Oakland a stable starter atop the rotation through 2022 to pair with 26-year-old Sean Manaea, who is under team control through 2023, as is 25-year-old Frankie Montas. Fulmer would give Oakland three-fifths of a rotation with playoff potential under team control for at least five seasons. That’s worth a lot, and besides Chris Archer, Fulmer might demand the best prospect haul of any pitcher traded at the 2018 MLB Trade Deadline. The similarly surprising Braves are taking the exact opposite approach of the Phillies despite being just 1.5 games back of Philadelphia in the division. Unlike the Phillies, the Braves can really hit (sixth in MLB) and field the ball (seventh in MLB), but their pitching is middle-of-the-pack. Without any sure-fire aces available on the market, the Braves aren’t risking prospects for rentals according to Rosenthal. That’s a smart move given their situation. Atlanta made an offer for Machado but isn’t likely to win his services. The Braves are looking to add controllable starting pitching at the trade deadline. They’ve scouted Nathan Eovaldi, who comes with another arbitration year beyond this one. Reason for hope: Bullpen buyers’ market, Wacha and Wainwright? The Cardinals are taking the same approach as the Braves. They aren’t shopping for rentals. They’ll look to improve the 23rd-ranked bullpen by adding arms controlled for multiple seasons. The Cardinals’ seventh-best starting rotation will add Michael Wacha and Adam Wainwright sometime in August. Whether either is any good is yet to be determined. Reason for hope: Bullpen buyers’ market, CarGo? 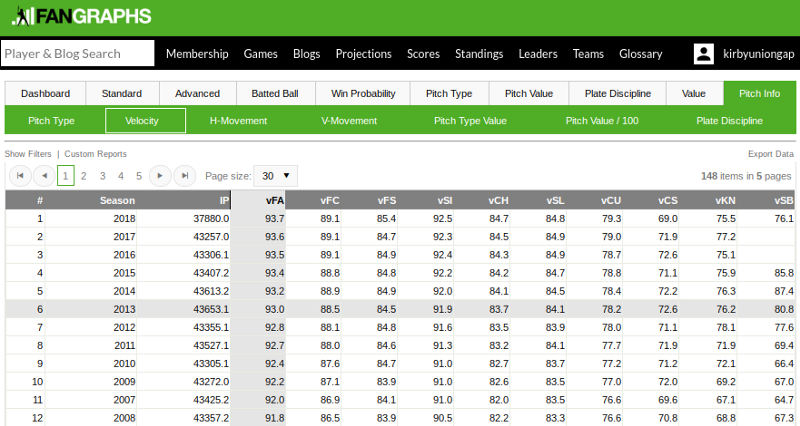 The Rockies have the 24th-ranked bullpen in baseball based on Fangraphs’ WAR. They, like the rest of the playoff contenders, stand to benefit from the vast supply of affordable bullpen options on the market. Colorado also has until July 19 to trade outfielder Carlos Gonzalez before his no-trade protection begins, but that’s not likely given CarGo’s struggles on the road and against left-handers. The new Twins’ front office of Derek Falvey and Thad Levine managed to sell at the trade deadline in their rookie season last year and still made the playoffs. They’ll try to do it again. The Twins actually announced their willingness to trade their pending free agents, headlined by Eduardo Escobar, having fallen 11.5 games behind Cleveland in the American League Central. And just as they did last season, the Twins responded to the front office “for sale” announcement by winning baseball games – eight of 10 to pull within 7.5 games of Cleveland. The return of Jorge Polanco from a performance-enhancing drug suspension allows the Twins to play on of their All-star snubs, Escobar, at third base while Miguel Sano figures out his swing in Fort Myers, where Twins’ top prospect Royce Lewis was recently promoted. Falvey and Levine should still shop Escobar and take the best deal they can get for a player who could be a difference-maker for a contender. They could even get a difference-maker in return, albeit one a few years away, but that’s a lot more than Terry Ryan or anyone else likely expected when he moved Francisco Liriano for MLB’s current leader in doubles. Given Sano’s struggles to stay healthy and hit consistently, it might not be a bad idea for Minnesota to give Escobar some of the nearly $84 million it has coming off the books at the end of the year. Making the playoffs without Escobar is a tall order for the Twins, however. He was the beating heart of last year’s playoff team and is the clubhouse leader. Ehire Adrianza can’t replace him in that regard or any other, but Byron Buxton could if he’s ever healthy. Other players that might be valuable to a playoff contender are relievers Fernando Rodney and Zach Duke, second baseman Brian Dozier, who is heating up in the second half, as usual, and starters Lance Lynn and Jake Odorizzi. Remember, the Twins are expecting Ervin Santana to return someday. Starter Kyle Gibson is more valuable than ever as well, and would bring a good return given his extra year of team control following this season – one in which he’s finally figured out how to use his best stuff best. Gibson’s been so good, the Twins might consider extending him. He’s finally the formidable middle-of-the-rotation starter the Twins knew he could be. The Giants are looking to shed more salaries after dealing centerfielder Austin Jackson and reliever Cory Gearrin to the Rangers, and could do the same with Derek Holland and Sam Dyson according to Henry Schulman, because the Giants would prefer to remain under the competitive balance tax threshold. But being just three games out of the playoffs at the All-Star Break has the Giants as modest buyers at the 2018 MLB Trade Deadline, too. The Giants are interested in acquiring Mets’ closer Jeurys Familia to shore up their bullpen down the stretch despite him being a rental, but with Jeff Samardzija being placed on the 10-day disabled list with shoulder inflammation for the second time, the Giants will likely have to wait to deal Holland until Samardzija returns if not acquire an affordable starter at the trade deadline. Reason for hope: Manny Machado, Zach Britton, Adam Jones? The Orioles’ rebuilding effort should have began at the All-Star Break last year, but it will still get off to a good start with the dealing of Manny Machado and Zach Britton, both of whom will most certainly be traded by the 2018 MLB Trade Deadline. Britton won’t bring what he would have last season, but Machado will, and Adam Jones has drawn some interest from Cleveland. So it’s not all doom and gloom in Baltimore. Football season is right around the corner, Orioles fans. If the Mets aren’t going to move Jacob DeGrom, Noah Syndergaard, Steven Matz, according to Joel Sherman, or even Zack Wheeler, then Asdrubal Cabrera is Mets’ fans biggest reason for hope. The 32-year-old pending free agent has a career-best OPS+ of 127, and there are plenty of teams looking to improve at shortstop and second base. The Brewers are especially in need of middle infield help, and Cabrera would be a nice consolation prize for the teams losing out on Manny Machado. The Phillies could have Cabrera for much less than Machado and still sign Machado in free agency. Reason for hope: J.T. Realmuto, Brad Ziegler? The Marlins’ steep price for their All-Star catcher J.T. Realmuto is warranted. Realmuto is controllable through arbitration until 2021 and the trade market for catchers consists of Realmuto and the now-injured Wilson Ramos of Tampa Bay. That steep price might not stop the desperate Nationals from acquiring the All-Star, according to Heyman. Steep prices are also attached to Kyle Barraclough, Drew Steckenrider and Adam Conley for the same reasons as Realmuto. They are all controllable for an additional three years and the trade market for relievers is deep. Brad Ziegler is a pending free agent but hasn’t been particularly good (1.362 WHIP, 6.5 K:9). The lone trade chip on the White Sox roster is closer Joakim Soria, who at 34 is pitching like he’s 30. His 149 ERA+ and 11.3 strikeouts per nine innings both match his numbers from 2014 when he was good enough to net Texas Corey Knebel and Jake Thompson in a trade to Detroit. Soria could help another contender this season and should provide Chicago added value given his 2019 team option. The Red Sox could be interested in both Mike Moustakas and Whit Merrifield, and the Braves have expressed interest in adding Moustakas along with the Yankees, according to Jerry Crasnick. Merrifield has also drawn the Dodgers’ and Brewers’ eyes, so the Royals are sitting on a wealth of proverbial riches at the 2018 MLB Trade Deadline. The Reds’ closer has the Astros salivating, as if Houston needs another bullpen arm as good as Iglesias’s, but Iglesias hopes to remain a Red his entire career MLB.com’s Mark Sheldon reveals. Iglesias acknowledged that he has no control over that, however. Cincinnati intends to spend in 2019, as the Reds are only a few starting pitchers away from competing for a playoff spot, of which there will be plenty available in free agency this offseason. Given that Iglesias isn’t even arbitration eligible until 2020, and Scooter Gennett isn’t a free agent until 2020, the Reds might just sit on their hands at the 2018 MLB Trade Deadline, which is reason enough for hope. Michael Fulmer could be the most valuable trade chip on the table at the 2018 MLB Trade Deadline, but the Tigers might as well keep him and his affordable salary for at least another year if not three. Detroit would no doubt prefer to move Nicholas Castellanos, who has just one more year of arbitration eligibility to Fulmer’s four years of team control. Castellanos is enjoying his best season at the plate but is the worst defensive outfielder in Outs Above Average, Katie Strang notes. He could help an American League contender at designated hitter, though. Houston (.748 OPS) and Oakland (.780 )PS) are getting the worst production from their designated hitters amongst the buyers at the trade deadline. The league average OPS at DH is just .759. Prior to Opening Day, I wrote that the Angels still didn’t have the starting rotation to reach the playoffs, even with Shohei Ohtani in the mix. That has turned out to be true, but Ohtani is still swinging a bat despite his grade 2 UCL strain, and doing so quite capably. Ohtani’s .889 OPS is second to only Mike Trout’s on the team and has been trending up since his return from the disabled list on July 3. With most of the Angels’ starters on the shelf with injuries, and their relievers under team control for multiple seasons, Los Angeles doesn’t have much to offer buyers at the trade deadline. So enjoy watching the best player in baseball and the Babe Ruth of Japanese baseball. Reason for hope: J.A. Happ, Justin Smoak? Justin Smoak is not a pending free agent, as Toronto will likely pick up his 2019 team option, but he could provide a lot of value to a contender in need of a designated hitter, demanding a strong prospect return. Curtis Granderson is another player who could provide a playoff team with some bench depth and pinch-hitting pop. Reason for hope: Adrian Beltre, Cole Hamels? The 39-year-old third baseman can still hit and play the hot corner with the best of them. He could be a big help to an American League contender like the Red Sox or Yankees, but the Rangers are looking to nab the Yankees’ Andujar at the deadline, and Yankees’ general manager Brian Cashman is feeling vindicated for not trading Andujar already. If the Rangers can package Hamels with Beltre they might get a return on par with Andujar. Hamels is in dire need of a change of scenery. Two-thirds of his 21 home runs have come while pitching in the thin air of Arlington, so even the short porches in Boston and the Bronx would likely serve Hamels better. The Yankees have inquired about starter Tyson Ross, who is uber-affordable and, therefore, attractive. The Padres should net a nice return for Ross, who they signed to a minor-league deal. That would keep New York under the luxury tax threshold. Once again, Brad Hand is the Padres’ best trade chip at the trade deadline, and they probably shouldn’t trade him given he’s locked up until 2021. Kirby Yates might be expendable, though, and his value has peaked. Yates has never been as good as he has been in 2018 (.876 WHIP). An All-Star last season, Josh Harrison is having a down year, but there’s a high demand for middle infielders at the 2018 MLB Trade Deadline and always a high demand for players who can play multiple positions at the trade deadline. And with Francisco Cervelli’s brain injuries sustained behind the plate, it’s doubtful he’ll draw interest from contenders in need of a catcher. Reason for hope: Adeiny Hechavarria, Nathan Eovaldi and Wilson Ramos? Adeiny Hechavarria is a pending free agent who would look good in Milwaukee, and the Yankees, Brewers and Braves have been watching Tampa’s Nathan Eovaldi according to the Boston Globe’s Nick Cafardo, and you can add Washington to that list, according to Marc Topkin of the Tampa Bay Times. All-Star catcher Wilson Ramos would bring the Rays the best return, but he’s been shelved with a hamstring injury, further thinning the market for catchers at the 2018 MLB Trade Deadline, which is just fine by the Marlins, who can only ask more for Realmuto.